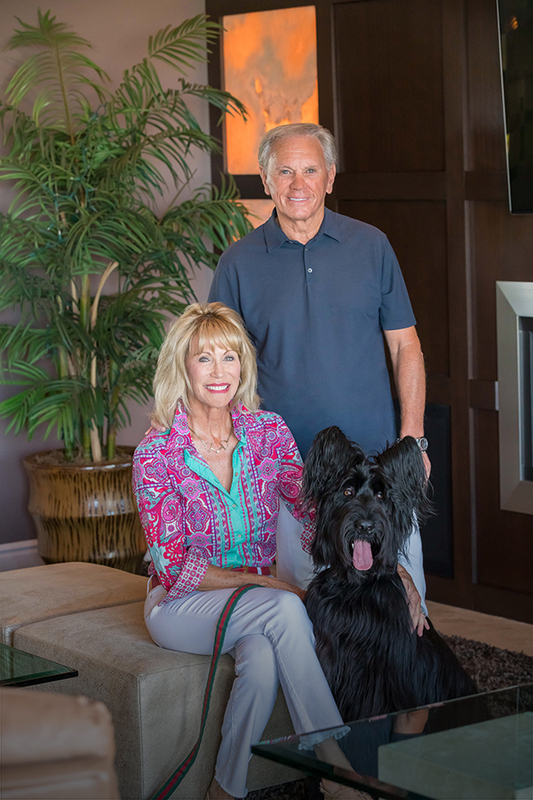 Gene and Stephanie Raper were life-long California residents and successful entrepreneurs with two primary luxury residences. Their main home was in Northern California in Sacramento and the other located in Palm Desert in Southern California. They were living the California Dream, but slowly things were changing in the Golden State that made them reconsider whether it was time to leave the Golden State and migrate to the Golden Oasis of Las Vegas. Frequent visitors to Las Vegas for entertainment and shopping, the avid golfers were also introduced to many of the exclusive golf resorts of Las Vegas. Yet, Stephanie was not convinced that leaving their California lifestyle full-time was the right decision. Then it happened. In November 2012, a ballot initiative passed that raised the maximum personal income tax from 10% to 13.5%. The new increased personal taxes also increased the cost of businesses and those providing various services. “From the gardener to the pool man to the cleaners, everything would be going up as well,” Gene noted. As avid golfers, a large part of their decisions as to where to live and where to vacation was based on golf clubs and the members of the club, along with easy aviation. Stephanie began researching Las Vegas real estate and contacted Cheryl Davis, a well-known broker for prestige properties. “As the consummate professional with a high degree of real estate knowledge and skill in every respect, Cheryl knows Las Vegas inside and out. She has an innate ability to develop instant and lasting friendships based on trust,” comments Stephanie. Cheryl Davis listened to what the Rapers wanted not only in a home but in the social golf environment that would be a match. She began the lifestyle tour of options at Lake Las Vegas, MacDonald Highlands, Summerlin and Southern Highlands. 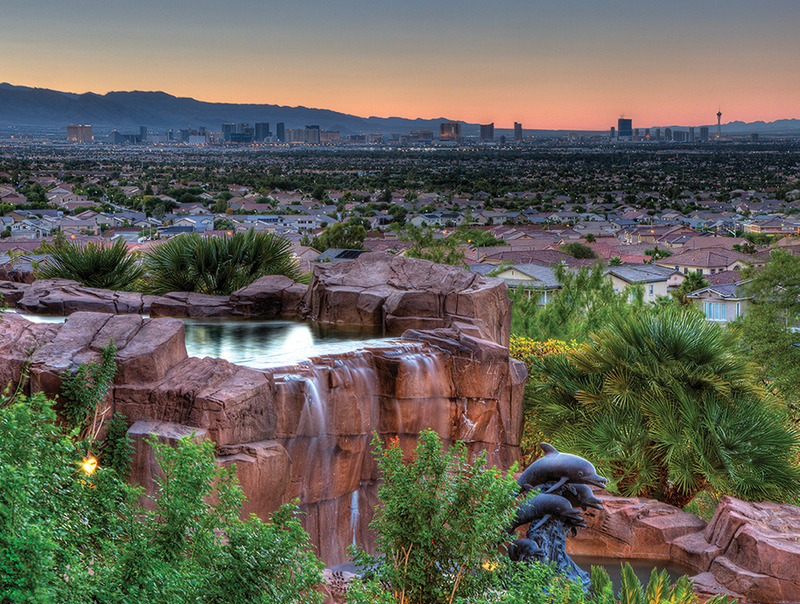 Entering Macdonald Highlands, one of the top luxury developments in Southern Nevada, the Rapers felt instantly at home. 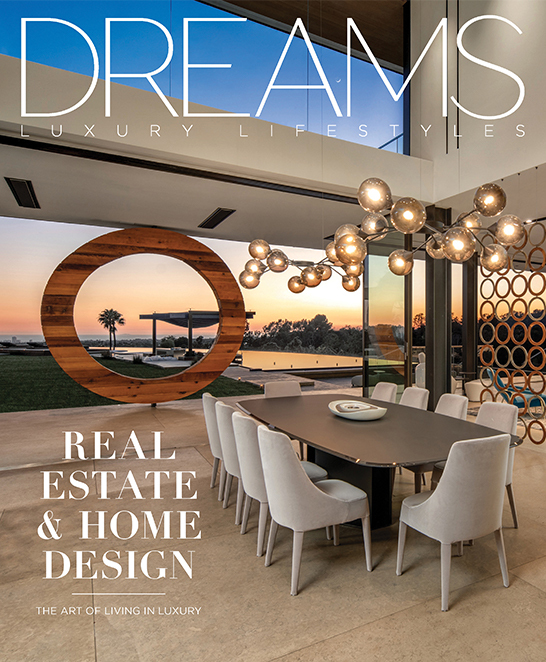 With striking contemporary custom homes overlooking a stunning view of the glittering lights of the Las Vegas Strip off in the distance, they knew immediately that “This intimate and private setting in one of the most sought-after addresses in the Las Vegas Valley would be our new home,” thought Stephanie. “A spectacular 7,000-plus square foot tri-level residence, with the private Dragon Ridge Country Club nearby, was exactly the lifestyle they were looking for,” states Cheryl Davis. “We quickly made new friends and enjoyed the total newness of everything around us,” states Gene. “And the airport is only 12-minutes away,” adds Stephanie. “When we told our longtime California friends, neighbors and business associates we were moving to Las Vegas, reactions ranged from ‘What?’ and ‘Huh?’ to ‘Really? !’,” Gene says with a smile. 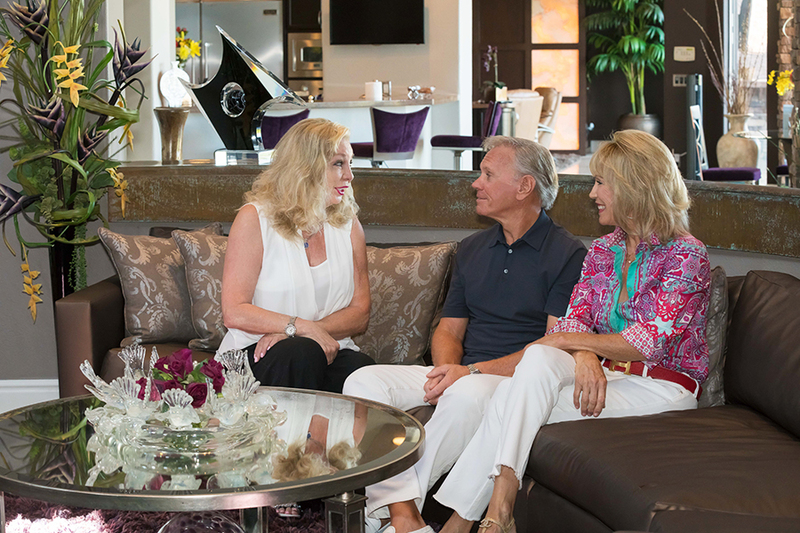 Cheryl Davis (left) discusses the move from California to Las Vegas with Gene and Stephanie Raper. Cheryl Davis is the Owner/Broker of Paragon Premier Properties in Las Vegas, NV. She is nationally recognized for her dominance in the high-end, luxury real estate market. 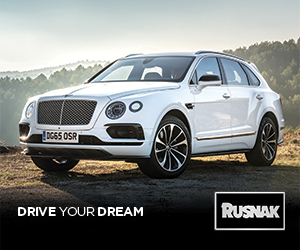 Her thoughts on the market and highlights of her unique business approach have been published in a national best seller, and she continues to be a top producer in the Las Vegas luxury market. You can contact Cheryl at (702) 683-7785 or Cheryl@cdavegas.com.